For 132 years, the Swiss Society of New York, Inc. continues to be a vibrant link in the Swiss-American community of the Greater New York area. The cornerstone of these activities is the annual Swiss Ball, the annual gala fundraiser of the Swiss Society, which is held under the patronage of the Consul General of Switzerland in New York. The Swiss Community joins to celebrate their Swiss culture and heritage at the Swiss Ball, a tradition that goes back to the roaring twenties. 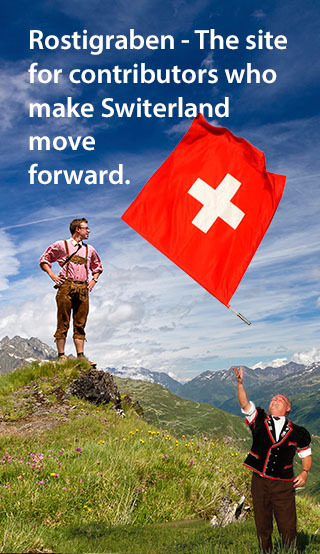 Each year the Swiss Society honors a uniquely successful Swiss person or institution and this recognition extends further through the Swiss Society Fellowship. This increasingly important grant funds exciting projects in the legacy of the honoree. This year’s Guest of Honor was the Swiss actress and opera director Marthe Keller. Past honorees included Dr. Ruth Westheimer, Claude Nobs, Henry Haller, Dieter Meier, Dimitri, Claude Nicollier, Hannes Schmid, Michael Haefliger as well as the legacy of Albert Gallatin, and 150 Years ETH Zurich. 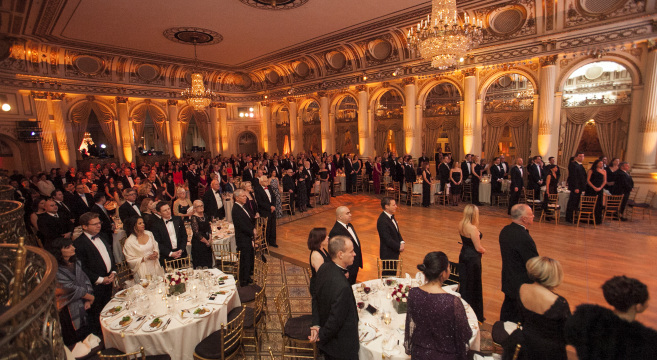 The 2015 Swiss Ball was held at one of the world’s most elegant and renowned hotels, The Plaza. 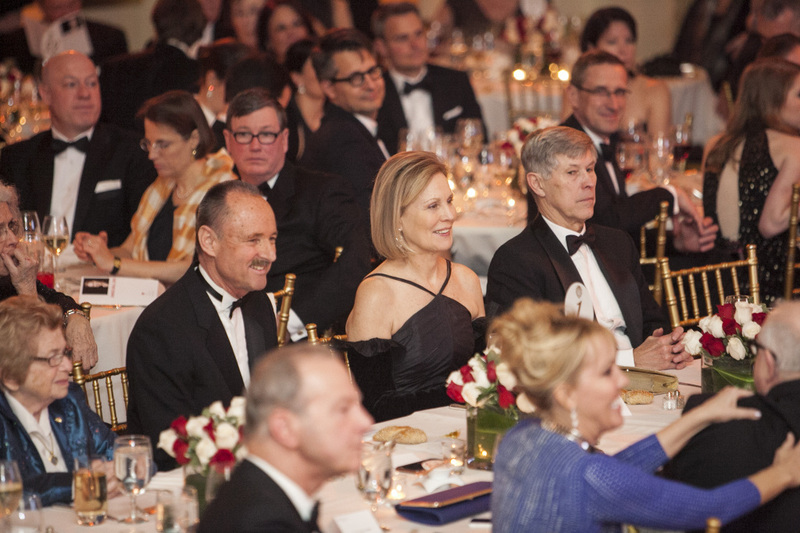 Over 300 guests joined this year’s gala, which was held under the patronage of H.E. Ambassador André Schaller, Consul General of Switzerland in New York. As a highlight of the evening, Prix Walo Award Winner and Swiss Musical Theater performer Sue Mathys sang the National Anthems, “New York New York”, and “Non je ne regrette riens” and stunned the audience with her stellar performance. The very popular Silent Auction, which is the sole means of fundraising for the Swiss Society Fellowship Prize and charitable activities throughout the year, reached a record result this year. Marthe Keller has dedicated the Fellowship Prize 2015 to the students of the Ecole du Théatre des Teintureries in Lausanne for a project with a New York based Theater company. 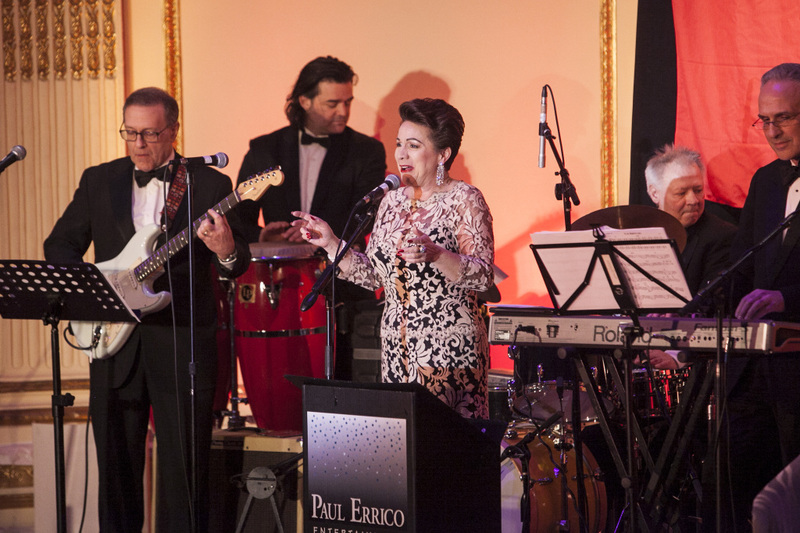 The Swiss Community enjoyed a fine dinner and danced the night away, joined by the Young Swiss for the Late Night Ball, to the tunes of Paul Errico Entertainment Orchestra. The annual fundraiser is supported by the official sponsor of the Swiss Ball, Rolex, as well as UBS, Dynax, Gibney, Anthony & Flaherty LLP, Roche, SWISS, Swiss Re, Vontobel, Zurich to name a few. 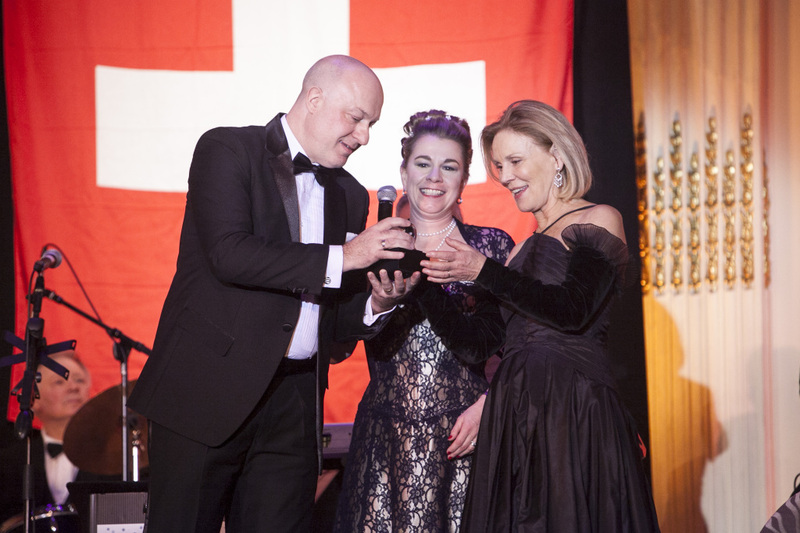 The 2016 Swiss Ball will take place on February 6, 2016 at the Cipriani 42nd Street and the Swiss Community in New York looks forward to another memorable evening. Photography by 85photo.com. Images appearing on this page are copyright protected, © 85 Photo Productions Inc™.